Service today provides a local and reliable plumbing service, promising customers rapid response thanks to our massive team of experienced and certified local Parramatta plumbers. Plumbing issues can arise at any time – often when you least expect them – so having access to a 24/7 local service that offers fast and professional solutions is essential. Service Today provides all this and more, and is the name you can trust when it comes to genuine plumbing services in Parramatta. For any of your hot water needs, Service Today provides expert same day hot water service to all homes in Parramatta. If you experience a hot water emergency, your current system requires repairs or replacement, you need a new system installed or you are just after some general hot water advice – call Service Today for a local Parramatta plumber you can depend on. If you suspect a leaking or burst pipe in your home, it is imperative that you act fast to avoid potential damage to your property. For emergency plumbing in Parramatta, look no further than the experts at Service Today. Our plumber Parramatta will inspect your pipes, employing the latest technology to locate the issue and provide the best possible solution to fix the problem. We understand the potential dangers associated with leaking and burst pipes, so we provide rapid response in order to attend to your plumbing emergency ASAP. Our local Parramatta plumbing experts have extensive knowledge and experience regarding all types of drainage systems. Equipped with the latest technology and tools, our technicians will professionally unblock your drain; as well as provide you with the best solution to prevent the issue from recurring in future. Utilising our high-tech CCTV drain cameras, pipe locators, high-pressure water jetting equipment and more, you can trust our plumbing experts to solve any of your drain issues today. You can avoid any unnecessary digging and mess traditionally associated with fixing underground pipes, by having your pipes relined. Pipe relining requires minimal excavation and is the cost-effective method for lining any damaged pipes on your property. Our Service Today Parramatta plumbers have extensive experience in pipe relining, and can professionally assess your situation to advise whether this could a beneficial option for your home. If you have taps that are constantly dripping, leaking from the handle, not fully opening, or causing water hammer – our team of highly skilled plumbing technicians are available 24/7 to help. Our local Parramatta plumbers are the tap specialists; highly experienced in tap installation, repairs and replacement. Give us a call for same-day service you can count on. Having your blocked or broken toilet repaired is not something you want to put off for too long! We have 24/7 emergency plumbers available in the Parramatta area, always ready to provide fast and professional service to those who need it. For any toilet repairs or installations, look no further than the expert plumber Parramatta at Service Today; we will carry out any repairs and have your toilet running normally again in no time. If you find yourself running for the drip bucket every time heavy rain sweeps through your area, it is time to call in the professionals. Our experienced and certified roof plumbers Parramatta can inspect and repair any leaking roof or gutter issue, as well as carry out regular maintenance to ensure the exterior and interior of your Parramatta home are not at risk of any flooding or water damage. If you are thinking about switching from electricity to gas in your Parramatta home, Service Today has got you covered. Our expert and qualified gas fitters in Parramatta are fully licensed, insured, compliant, and highly experienced in gas fitting and connection. We offer compliance documentation upon completion and can professionally carry out any of your gas fitting requirements. If you are looking for a plumber near you in Parramatta, Service Today is here to help. Give us a call today on 1300 859 383 or make a booking online, to resolve all your plumbing issues today. 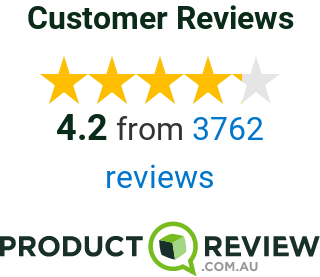 Our Service Today plumbers in Parramatta are constantly exceeding our customers’ expectations, providing high quality and professional service at all times. We have a team of technicians based locally to provide rapid response to Parramatta homes, so if there is ever a plumbing emergency – we can have an expert plumber sent to your home that same day. We are committed to providing the highest quality of service – today! Our expert Parramatta plumbers only charge honest, flat fee prices for all plumbing jobs; at competitive and affordable rates. This means no hidden surprises! We ensure our customers are fully aware of all the costs involved in the job, before any work is commenced. Our loyal fleet of plumber Parramatta consists of fully licensed and qualified, local plumbing experts. All our team members are the best in the business, and we are committed to carrying out regular training with our plumbers to ensure they can professionally complete any job they are assigned to. Our team are always on the road in their signature Service Today trucks, which are fully stocked, prepared to provide same day repairs and a first time fix! At Service Today, we won’t rest until your plumbing issues are fixed. We do the little things that count, and promise to do everything in our power to solve any plumbing emergencies or problems in a professional and cost-effective manner. Once a job is complete, we always tidy up after ourselves and leave the property in an immaculate condition. We are proud of the excellent services our Parramatta plumbers provide. We are confident in the work of our team, and back all our jobs with a lifetime labour guarantee. If a defect is found as a result of poor workmanship, we endeavour to repair the issue; replacing any parts necessary. At Service Today, we know that finding a reliable plumber in Sydney to solve all your plumbing problems can be a difficult and time-consuming task. We pride ourselves on making the process easier by providing Parramatta residents with a 24/7, quality same day plumbing service, with honest and upfront prices. Having been in business for over 10 years, we apply our extensive experience in all aspects of the plumbing industry to provide the best possible service to our customers. All our plumbing technicians are friendly, polite, reliable and undergo regular training to ensure they continue providing the best possible service to our customers. Parramatta is located in the Greater Western Sydney region, approximately 20km west of the Sydney Central Business District. Sitting on the banks of the Parramatta River, which flows into Sydney Harbour, Parramatta is a vibrant cultural hub and often referred to as the Second Central Business District of Sydney. Parramatta is home to a number of heritage-listed sites, including St John’s Cathedral, Parramatta Park and Old Government House.